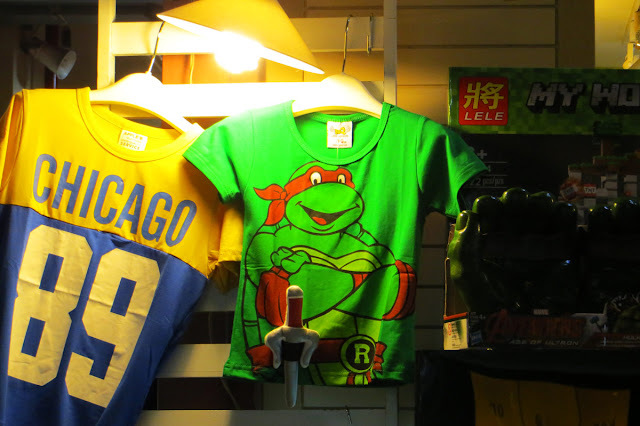 Journey to the "Land of Smiles" for a mutated travelogue of TMNT discoveries. Explore the vibrant country of Thailand in this 3-Part, Turtle-Powered series. The world has mutated into a giant flea market. Each country is a table of treasures, waiting to be rummaged. There's junk to sift through, but hidden gems are begging to be discovered - exotic culture, outlandish cuisine, and most importantly, weird toys. At some point, my travel adventures evolved from relaxing vacations to a globe-trotting hunt for toys. I feel like an Indiana Jones from another dimension - navigating the most unorthodox course, sometimes dodging danger, to claim the fortune and glory that weird, foreign toys have to offer. But when I do find my holy grail, it's usually made of plastic. 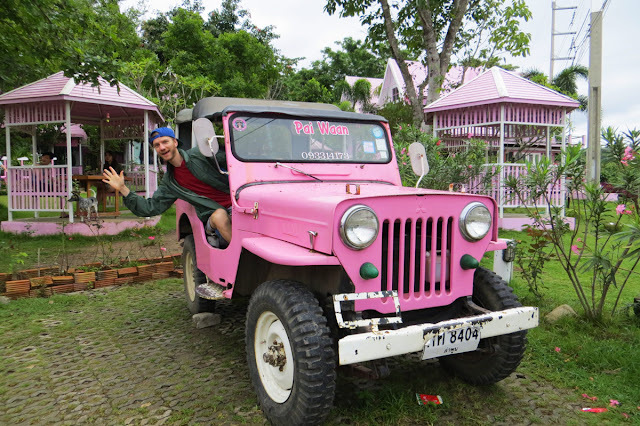 My latest excursion brought me to Thailand - a colorful country boasting diverse adventures at every turn. The trip would last 2 weeks - a short stint to experience a region that offers so much. 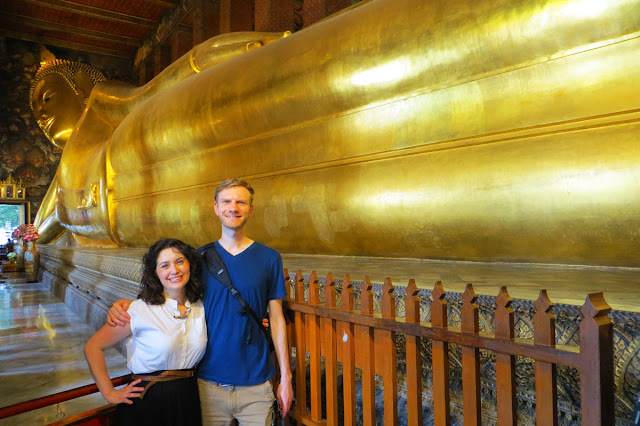 With a giant backpack bound to my body (appropriately branded with the name Tortuga), my girlfriend, Jess, & I aimed to bury ourselves in Thai culture. 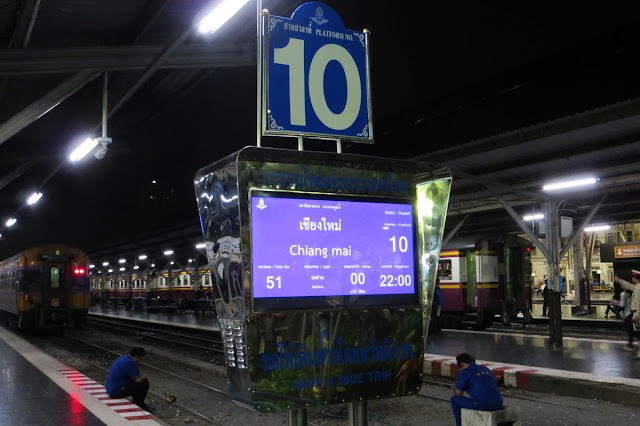 The trip would commence in the urban jungle of Bangkok, migrate to the launchpad of Chiang Mai, shift to the sleepy hills of Pai, and return to Bangkok for a final hurrah. One major question loomed over the journey before it even started - would there be TMNT toys? This trip starts out with a math problem. What do you get when you add an hour long subway ride, a 14 hour flight, a layover in China, and an additional 4 hour flight to Bangkok? Oh, and subtract comfortable sleep and your sanity. What do you get? Answer: the other side of the world. Do you know what the other side of the world feels like? It feels like Bangkok - an unidentifiable, intoxicating chaos that transforms the moment you start to understand it. If New York is the city that never sleeps, then Bangkok is the city that doesn't even know sleep exists. The place is a bustling, unrestrained metropolis. 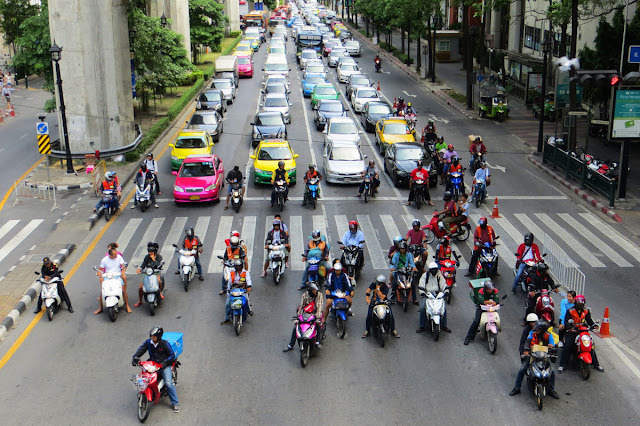 Cars, taxis, motorbikes, and an infinite supply of food carts - all set to a soundtrack of clamoring traffic. Surprisingly, no one honks their horn. Overwhelming? Sure. But, there's a distinct energy flowing through the active streets. They are the life-force of the city - fueling you for adventure, for toy hunting. 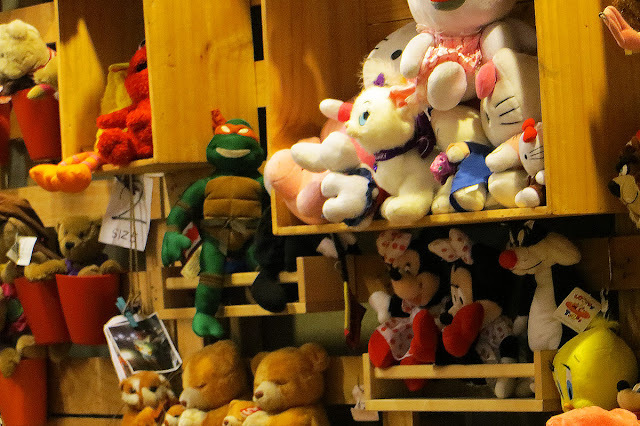 After crossing off a few of Bangkok's must-see attractions (temples, temples, and more temples), the time for toys arrived. 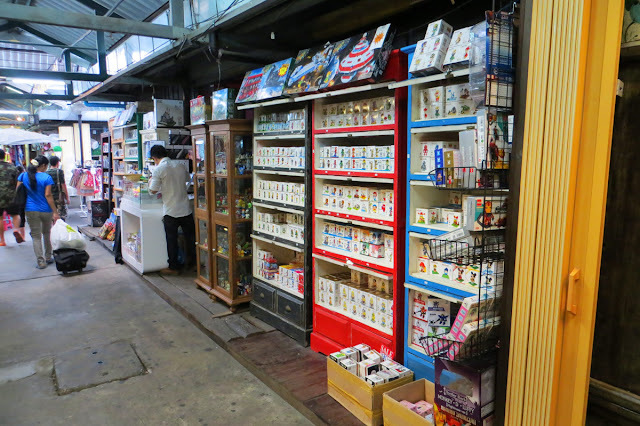 The spirit of Bangkok's busy streets spills over into the commerce culture as well. There are a wealth of markets - everyday, everywhere, selling everything. If the streets are Bangkok's blood, markets are the vital organs. The endless assortment of items is a dizzying display for the eyeballs. Hours are lost gazing at the offerings. Food carts sell fresh groceries, foreign bites, savory meals & tasty drinks to sip. The merchandise is equally as diverse, with household goods, vintage finds, fashion, furniture, weapons, books, artwork, and let's not forget, exotic pets. How do you say, "do you have Ninja Turtles?" in Thai? 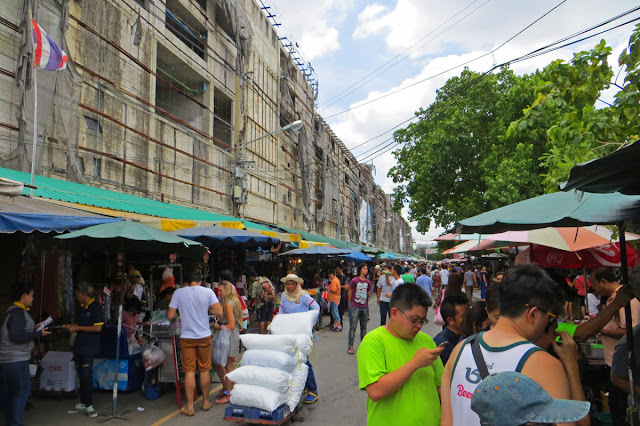 Let's kickoff the search with the most touristy of the bunch, the Chatuchak Weekend Market. This place boasts over 15,000 booths that cover 35 acres of land - huge, no matter what country you're from. 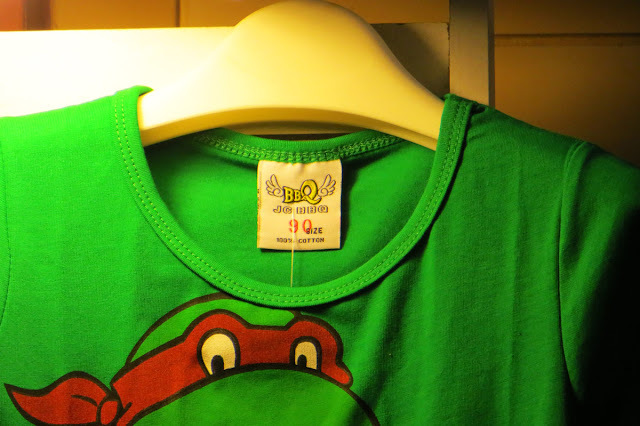 We explored the narrow aisles of the market, keeping our eyes peeled for Turtle Power. It was easy to forget the quest for toys when there's an overwhelming amount of eye candy at every turn. While nibbling on pieces of fresh fried pork, I spotted a series of shelves filled with boxed toys. I eagerly scurried over in a fit of American enthusiasm, still chewing my unconventional snack. And there it was, I had found the first TMNT toy of Thailand! I scooped up the box, analyzing the packaging. There was something peculiar about these tiny toys. The Teenage Mutant Ninja Turtles were stripped of their iconic name and replaced with a generic Fighting Turtles classification. That means only one thing - unauthorized, knocked-off bootlegged toys. The merchant and I engaged in a lengthy negotiation for one of the cheap trinkets (we both punched keys on a calculator with our offers). My stubborn sewer skills wore him down, and I walked away with the "Rat Master" for a mere 60 baht (about $2). 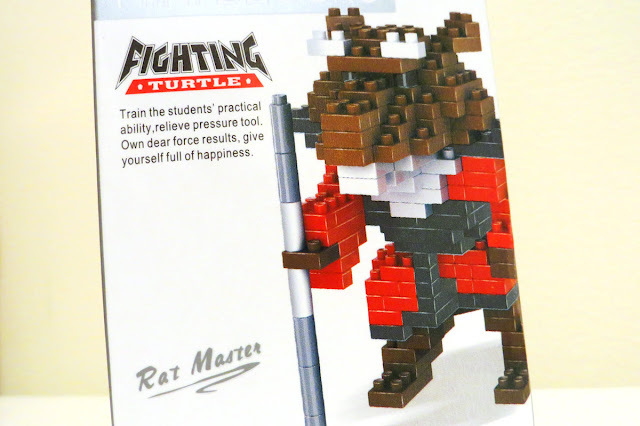 The toy resembles Splinter from the 2007 TMNT movie - making this bargain even more bizarre. But, the "Rat Master," my first purchase, symbolized the eccentricities of the Chatuchak Weekend Market. 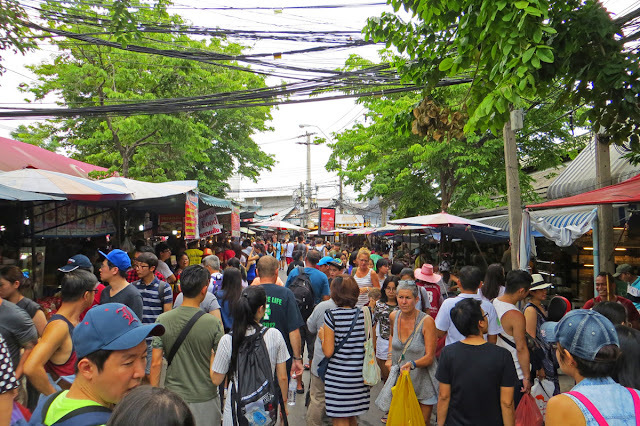 The Chatuchak Weekend Market was chalk full of tourists from all around the globe. By the afternoon, the carefree market became intolerable. The crowded mess had us eager to escape. 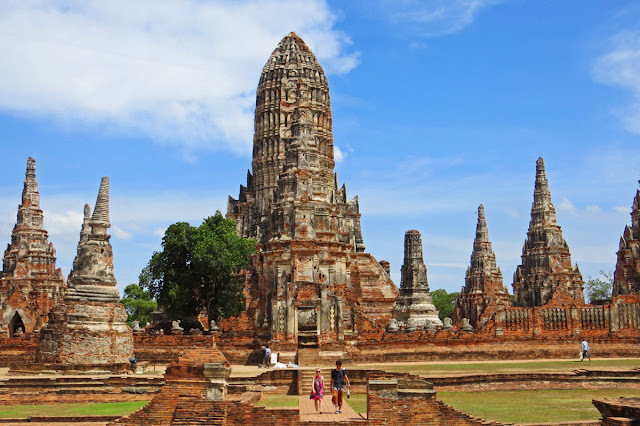 It was time to ditch the tourist attractions and dig deep into Thai culture. 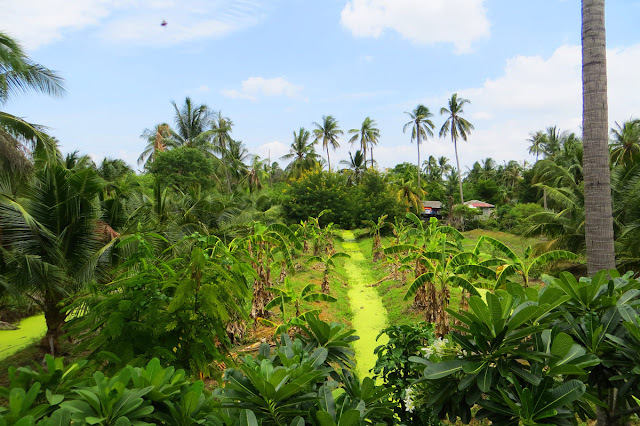 Bangkok's Green Lung (Phra Pradaeng) came to our rescue - a liberating, smog-free oasis engulfed in greenery and surrounded by the Chao Phraya River. This region of the city allured us with its off-the-beaten-path secrecy. The journey to the Green Lung was an adventure in itself. The trek began with a ride on the Skytrain, a short stint in a taxi, a ferry across the river, and ended by renting a couple of rickety bikes from a local. 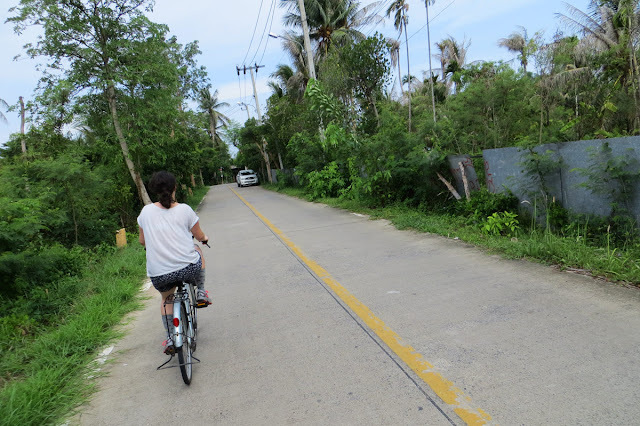 We pedaled through the sedated neighborhood - enjoying the easygoing vibes of the tiny, palm tree-lined streets. 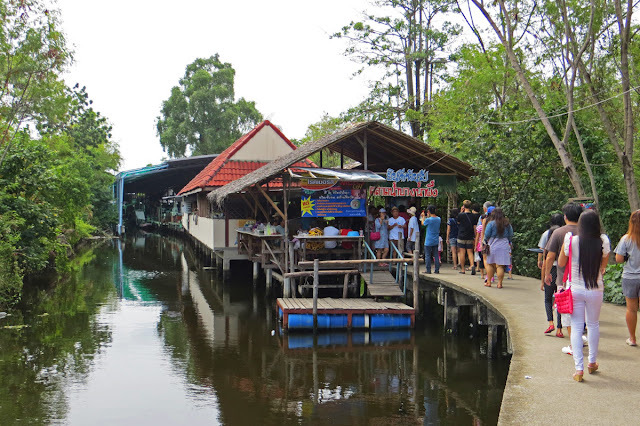 Tranquility acted as our compass, bringing us to the Phra Pradaeng Floating Market - a concrete, boardwalk-like strip alongside a slow-moving stream that hosted countless vendors. 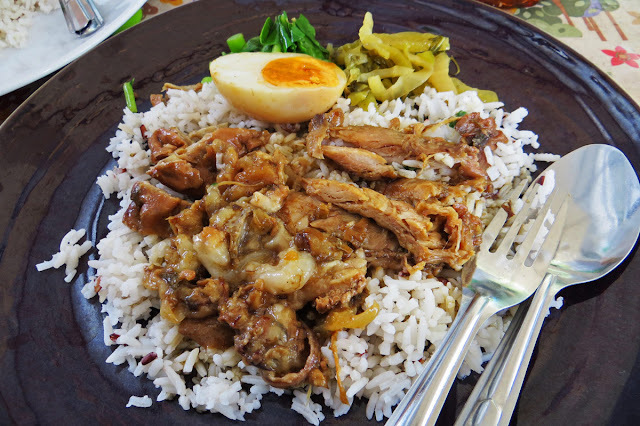 The place breathed authenticity, with jovial locals preparing and enjoying a variety of exciting cuisine. We wandered through the market in a bewildered awe. The chase for TMNT toys fizzled as the exotic foods on display made my mouth water. Endless options of tasty treats danced in front of me, begging me to take a bite. My patience fell to its knees, and I forked over a few coins to treat my tastebuds to these intriguing foods. My tummy left the Phra Pradaeng Floating Market happy and stuffed. But, my TMNT toy craving went unfulfilled. When the sun goes down, the party heats up. 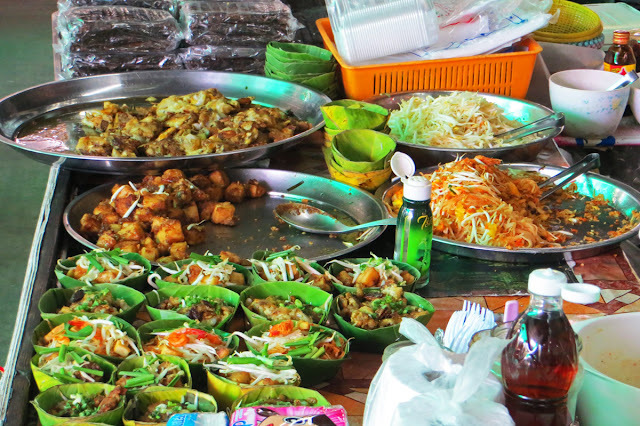 Night markets are a staple of Thai culture - not only in Bangkok, but in much of the country. The carnivalesque event is a whimsical experience unlike any other. 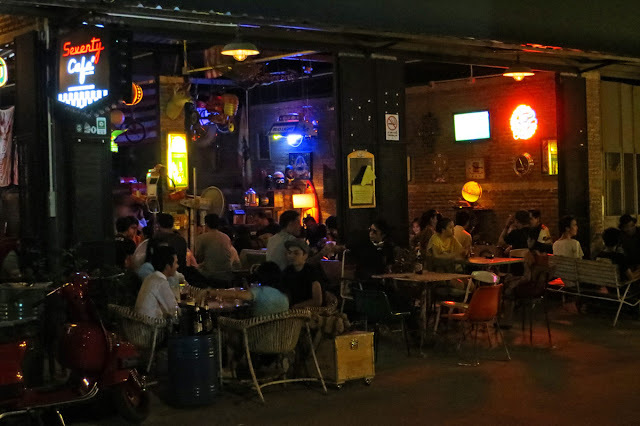 Imagine a flea market and a festive bar, fused together in a Thai laboratory - the result would be a night market. In America, night markets are essentially non-existent. This made it imperative to explore as many as possible while I was in Bangkok. Sleep took a back seat, and I spent every evening venturing to a new place. 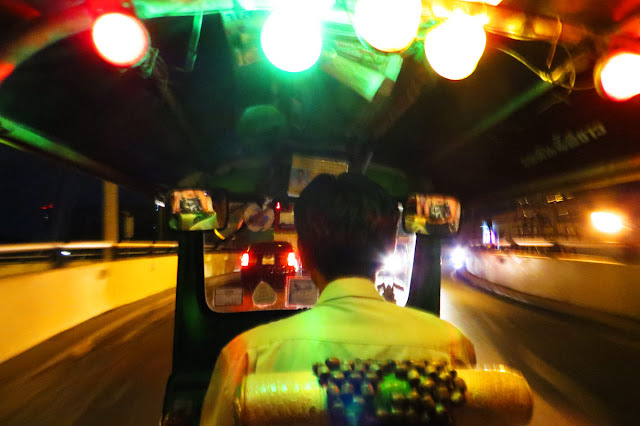 After a long train ride, we hailed a tuk tuk (motorized rickshaw) to take us to the outskirts of Bangkok for one of the kookiest markets in the city. Each market embraced its own unique aura and crowd. 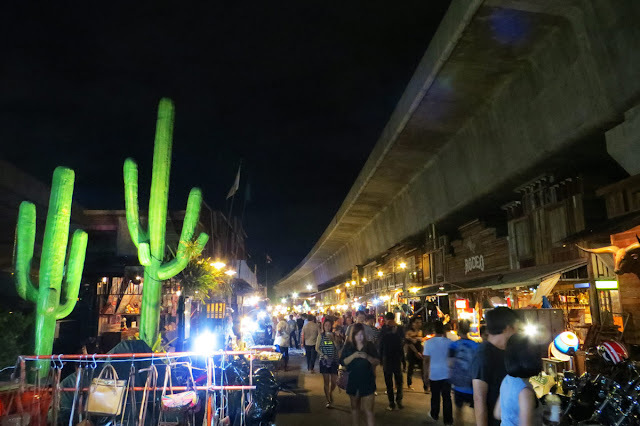 My favorite was the Siam Gypsy Market - a dream-like spot decorated in hipster, wild west decor, built beneath a raised train line. Thai hippies and Rastafarians roamed the area, bopping their heads to the live music that echoed throughout the merchant-filled market. Vendors had vintage goods on display, which reinvigorated my pursuit for TMNT toys. I left no stone unturned. 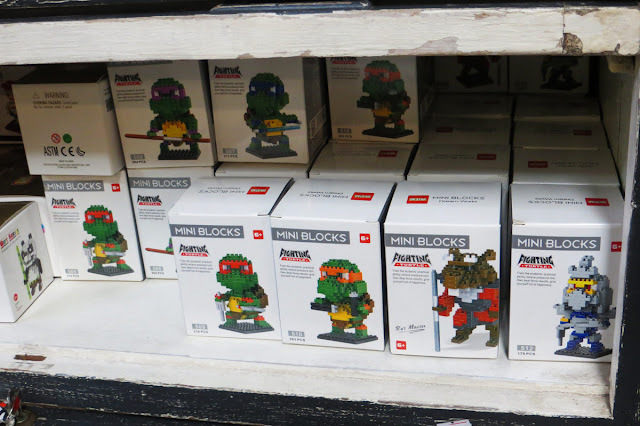 While lost in the allurement of the market, I spotted a few Turtle Powered pieces. But, they were lackluster - often dirty and in poor condition. This curbed my inspiration to make any purchases. The coolest (and cleanest) item I noticed was this shirt. Wardrobe with a weapon?! This had the makings of an international purchase - weird and unfamiliar. The non-Nickelodeon tag intrigued me. Possibly another knockoff, but still slick nonetheless. Too bad the design was for a woman and sized for a kid - eliminating any purchasing opportunity. Curse my 6-foot male frame! The event lasted deep into the night. The TMNT hunt was proving unfruitful. Feeling defeated, the decision was made to throw in the towel on the toy search and grab a bite to eat. Live music filled the afterglow of the night - relaxing, reggae jams pushed away my disappointment. An all Thai-language menu insured an interesting meal - we haphazardly selected items at random like a twisted game of Russian roulette for our stomachs. What sort of dishes would arrive at the table? A steaming bowl of spicy chicken feet soup. I took a hearty swig of beer, mustered up some courage, and chowed down. Not a standard meal for my American appetite, but I've got to give the dish credit. While eating it, my mind completely abandoned thoughts of the TMNT toy search. Instead, I savored, and at times squirmed, every fiery bite. 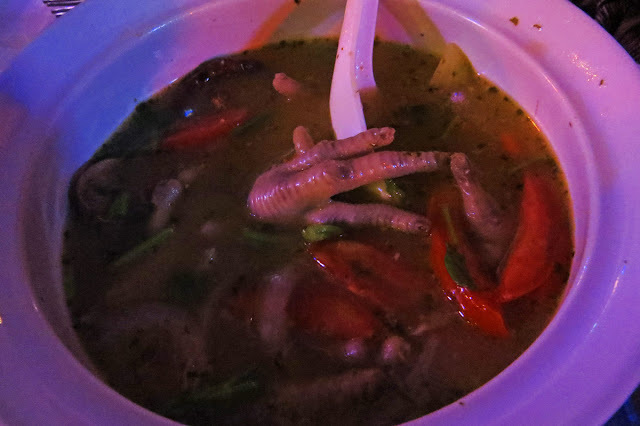 Next time you leave a flea market empty-handed, order a bowl of spicy chicken feet soup. Your woes will be erased. 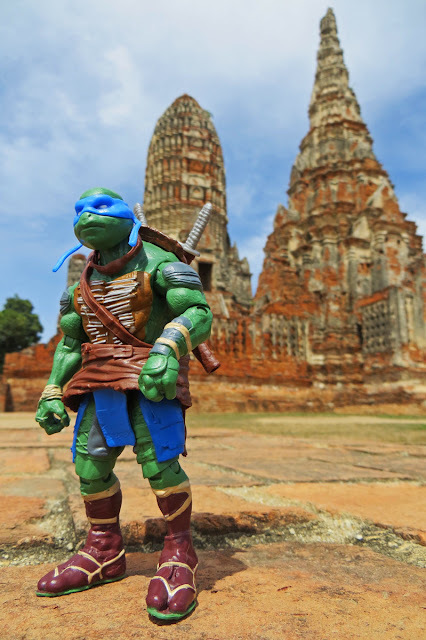 3 days in Thailand and the TMNT discoveries were slim. 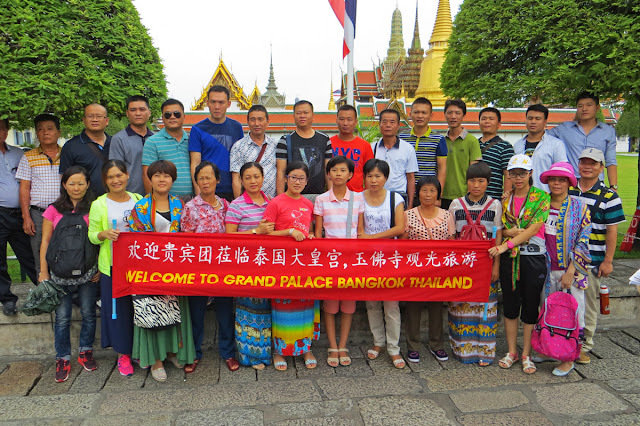 Although we would be returning to Bangkok later in the trip, the time came to temporarily say goodbye. Hopefully, other parts of the country would expose more pizza-powered findings. NEXT: The voyage continues in Part 2 as we journey to northern Thailand for more wacky and wild exploits. Does this far-away land hold any TMNT treasures? 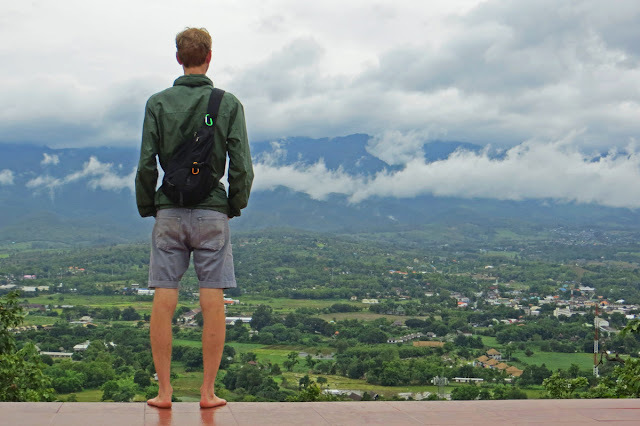 Check out Chiang Mai & Pizza Pai to find out! I must admit, I'm a bit disappointed... how did you NOT bring back some chicken's feet soup?! I've been meaning to comment for awhile now! I love reading this. It's just full of excitement and adventure. I also don't know that I would have eaten the spicy chicken feet soup but I could be wrong. The pictures all are really nice too!